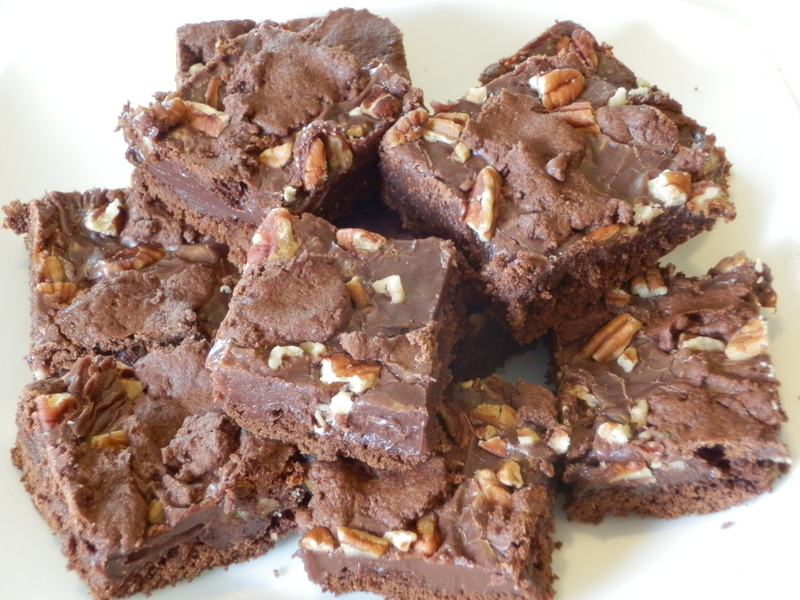 I never promised that the recipes featured here would be gourmet or healthy, but I will deliver on delicious! My soon to be sister-in-law shared this delicacy with me years ago. This is my go to recipe for cook-outs, potlucks and last minute get-togethers. I usually keep the ingredients on hand for a moments notice. Enjoy! Combine cake mix, oil and eggs. 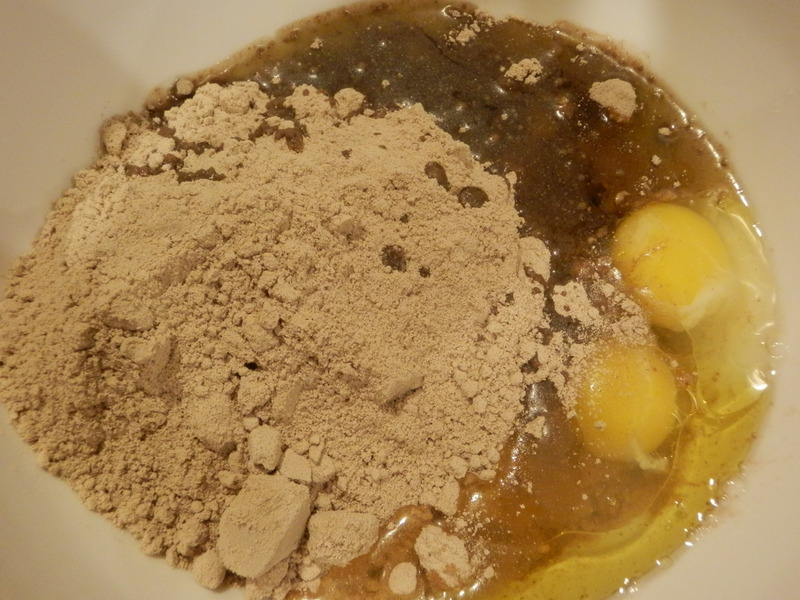 Spread 2/3 of batter into a greased 9×13 pan. 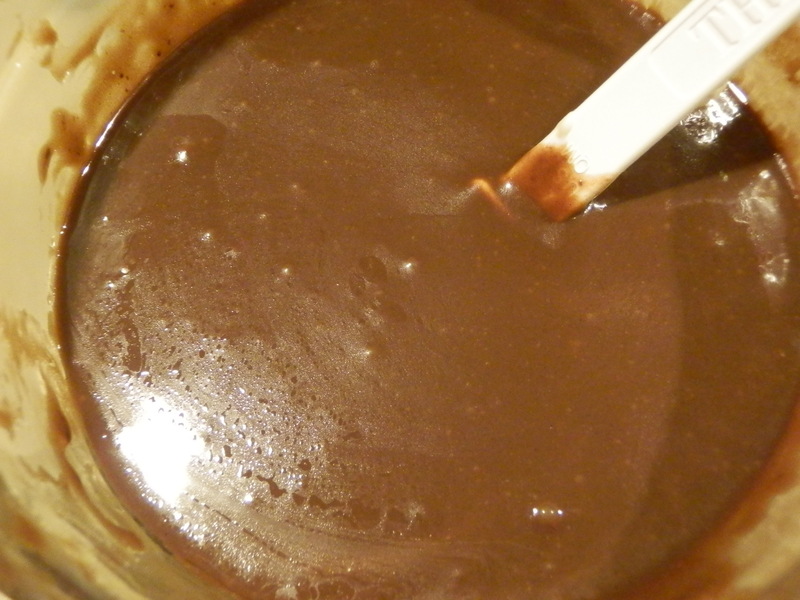 Combine sweetened condensed milk, chocolate chips and butter in a bowl. Microwave for 45 seconds and stir, microwave 45-60 seconds longer until melted. Pour over crust. Sprinkle chopped pecans over filling. 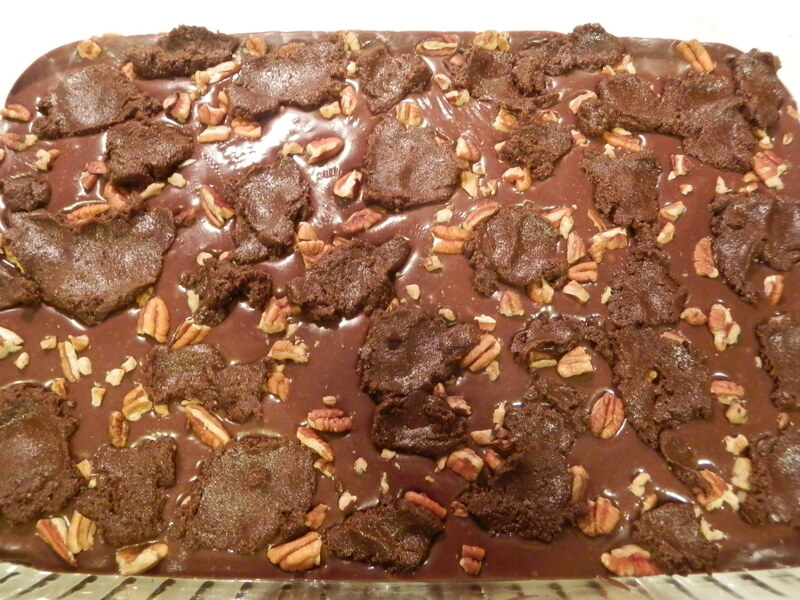 Drop remaining batter over pecans and filling by spoonfuls. Bake at 350 for 20-25 minutes.